Sometimes it doesn’t make sense to buy a whole 14-piece cookware set when you know you only need to replace a few pans. 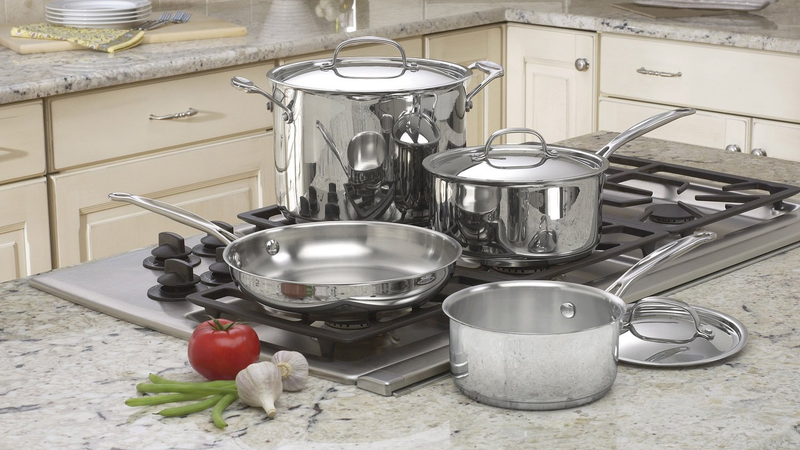 This Cuisinart 7-piece set is a good middle ground, and comes with all the basics like a skillet, two sauce pans, and a stock pot. These pieces feature aluminum cores in the bases, though that aluminum doesn’t extend up the sidewalls like you’d see in more expensive cookware. But still, they should heat up quickly and evenly, and boast a solid 4.1 stars with over 600 reviews.